Matchbox Twenty – So Andyway…..
At least once a month when assembling this post, there is an album that has me from second one, and I’ve been fortunate enough to have that happen right off the bat this month with the new album by indie/dance pop group Two Door Cinema Club. Beacon is an introspective, contemplative dance party that never gives up. There are a bit more mid-tempo rockers here than on their previous album, but that is certainly not to the album’s detriment. ‘Next Year’ kicks things off in spirited fashion, and the record that follows further builds on this tune’s sense melodic interplay. The band is on point, and the delicate, purposeful vocals by Alex Trimble are a perfect fit to the electronic infused indie rock sound the band has perfected. I’ve embedded lead single ‘Sleep Alone’ below to give you a taste, and also a spotify link to my favorite track on the record, the horn accented ‘Sun’. 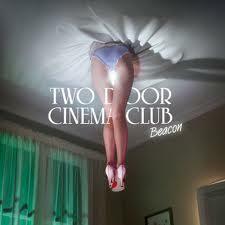 Grab Beacon in physical or MP3 today. Jazz pianist Chick Corea has had a long and varied career, from progressive-jazz-fusion-rock (Return To Forever) his work with vibraphonist Gary Burton. The pair have worked together for nearly forty years, and on their latest album Hot House, they sound as fresh as ever. Take their exciting rendition of Beatles favorite ‘Eleanor Rigby’ (See the live version embedded below). The melody around which the duo play is familiar, but the soundtrack they create is anything but. This is an album full of two virtuoso having fun with music and enjoying their time playing with melody and composition. 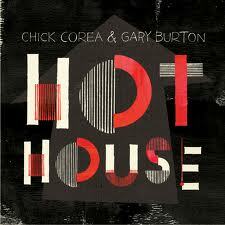 If you like what you hear in the video below, grab Hot House today. 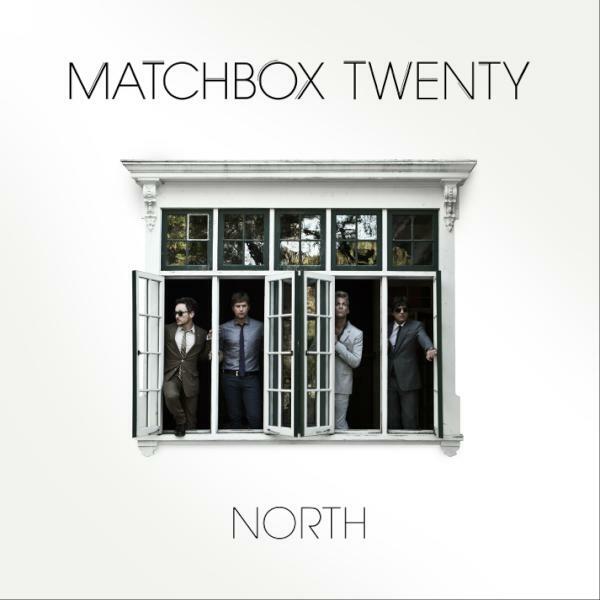 I have already explained my affection for Matchbox Twenty here, and subsequently all those reasons are why I really like North. Not just out of nostalgia for a band I’ve loved, but because the songs on this disc continue to resonate with me as much as their work always has. Despite their long absence, the album doesn’t sound forced or dated in anyway. Highlights include lead single ‘She’s So Mean’, power ballad ‘Overjoyed’, and the darkly melodic ‘English Town’ Check out the link above for more info about the album, but know that if you’re a fan of anything the band has produced over the years, you will greatly enjoy this record. Animal Collective isn’t for everyone. Their brand of art rock is augmented by strains and sounds unfamiliar in most indie rock circles, more akin to the psychedelic experimentation done in the sixties. The beauty in their music is how they use these unconventional sounds and arrangements to create the kind of songs that sound familiar as soon as you hear them. Not in the sense that they are rehashing already well trodden territory, but in that “Of course!” sense you get when you hear a song that you love before its over. The feeling you get when you are completely blown away by a song, and you wonder how you ever went without it. Now if you can imagine that feeling in between industrial sounding beats, electronic distortion, and filtered vocals, you have the epic that is Centipede Hz. If that sentence turned you off, than go ahead and skip to the next album in this post. 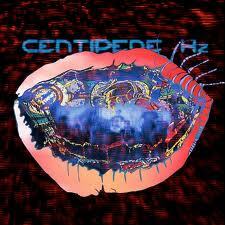 If you were intrigued by that notion however, you should check out >Centipede Hz. 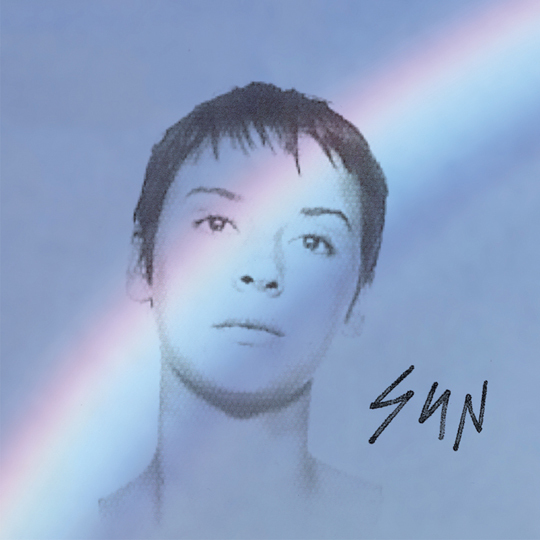 The songs on Cat Power‘s latest album Sun are just fantastic. What I mean by that is if you cam across any one of the album’s eleven tracks individually, they would immediately make you want to know more about the artist that created them. Sun is a labor of love from an immensely talented singer/songwriter/multi-instrumentalist/producer, whose real name is Chan Marshall. With the exception of some mixing duties, Ms. Marshall handles every bit of Sun herself. You can hear her passion for her craft in tunes like album opener ‘Cherokee’, the album’s title track, and the fantasitc harmonies on ‘Ruin’ (below). The eleven minute empowerment epic ‘Nothin’ But Time’ swells and falls over shiny synths and thundering rhythms, and features background vocals by an almost Johnny Cash sounding Iggy Pop. His gruff vocals offer a perfect counterpart to Marshall’s sweet breathy melody, and the tune floats by like a dream. By the time you reach the hip-hop-ish closer ‘Peace and Love’, you will have found that Sun is full of warm and welcome surprises. Make it part of your collection. 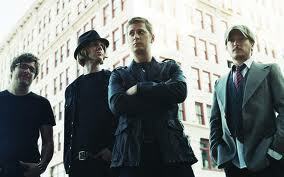 Matchbox Twenty is one of the first bands of my generation that I remember discovering. Most music I was into at age Eleven was hand-me-downs from my parents, and I still didn’t really listen to the radio. I had never heard of MB20 until the summer of 1997, which I spent at a theater program at my town’s High School. The program allowed High School students to direct younger kids in a several different productions over summer break, and I looked forward to it every year. The High Schoolers were all so cool, and everyone wanted to hang out with them. I remember sitting by myself one day at lunch when one of them came up to me and started up a conversation. He was one of the directors I looked up to, so this was huge for me. We mostly made small talk about the different shows being worked on, but as would prove all to common later in my life, the conversation soon shifted to music. I didn’t really know many of the bands he mentioned, and I thought he would be impressed by my knowledge of The Beatles and other Classic Rock. He told me that if I liked rock, that I needed to hear this new band called Matchbox Twenty. His words sold the album brilliantly, and that I would especially love a track called ‘Long Day’. I hounded my parents until they finally brought me to Tower Records (look it up kids) so i could purchase the album, and I instantly fell in love. I played Yourself Or Someone Like You all day, every day, and ‘Long Day’ was instantly my favorite song. I memorized it front to back. When school started in the fall, I used to carry it around with me in my backpack in spite of the fact that I didn’t have any kind of portable CD player. I just wanted that record on me at all times. Rob Thomas quickly became a hero of mine, solidified by each subsequent release. I loved him because he was not only responsible for the songs I held so close to me, but his versatility as a songwriter was something I had immense respect for. MB20’s second album, Mad Season, was the first record I purchased in the new millennium, and it remains one of my favorite albums to this day. All of the different genres utilized on that record blew me away, and that quality is something I still look for and enjoy when listening to new music. Check out the very album faithful spectacular live version of ‘You Won’t Be Mine’ below. The band’s third record, 2002’s More Than You Think You Are, was a move back towards the straight up pop/rock of their debut, and I loved every track. The band was back with a force, as evident on the live version of ‘Bright Lights’ below. In my opinion at the time, this was an unstoppable band, but history would prove otherwise. MTYTYA would be the bands last full album for ten years. They released a greatest hits compilation, Exile On Mainstream, in 2007, and Rob Thomas released two solo records in the interim, but to me nothing replaced the feeling I got when holding a new Matchbox Twenty Record in my hands. To say my anticipation for their new record, North, was high would be an understatement. I was trying to be very adult and patient about it, but this was something that I had been waiting for since I was sixteen. After a few listens now, I can honestly say that it did not dissapoint. 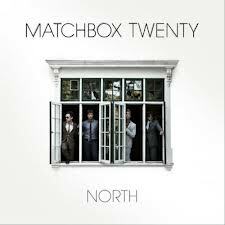 North is a very poppy record, filled with great hooks and all the ballads and rock longtime fans are used to. The band experiments with a electronic rhythms at a few points, but they never stray to far from the classic Matchbox Twenty sound. The band’s song writing is on par, as evident with the stylistically different lead singles ‘She’s So Mean’ and ‘Overjoyed’, which are embedded below. You can stream ‘North’ for free right now at iTunes, and it comes out this New Music Tuesday 9.4.12. There’s so much to love about this record, and I hope you give it a try!